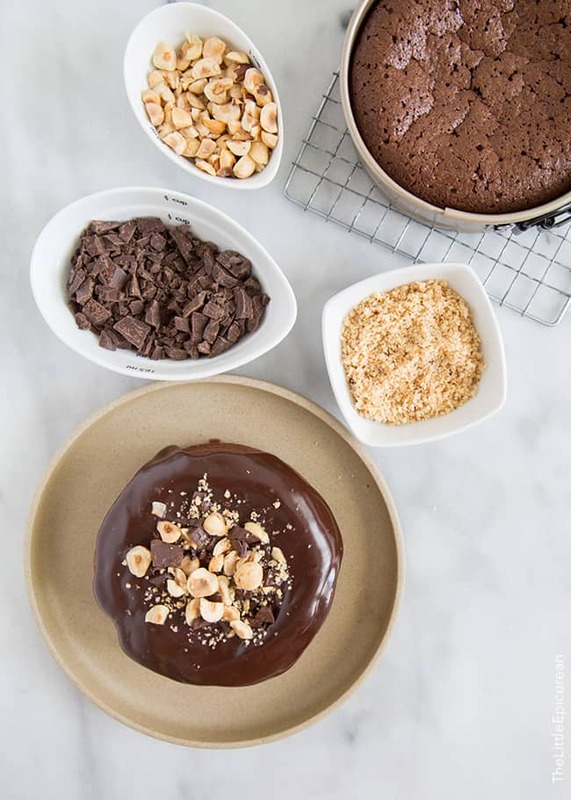 The secret to this delicious and decadent flourless chocolate hazelnut cake is Nutella! A couple of summers ago, Alex and I went to Portland, Oregon. It was a magical week of nonstop eating and drinking (that’s how we vacation). During this trip, Alex became obsessed with calling hazelnuts filberts. To this day, he can’t say the word filbert without smiling or looking at me because he knows how much it annoys me! Anyway, did you know Oregon produces over 90% of the United States’ hazelnut crop? Yup, it’s true. I love hazelnuts. I can eat them by the handful toasted. I like them ground into a delicious praline. But most of all, I can’t get enough of hazelnuts with chocolate. I love it so much that I buy the giant tubs of Nutella from Costco. I’m trying to use the last tub of Nutella so I can make a homemade chocolate hazelnut spread. When I have an excess of bananas, I make banana cake. Too much zucchini, make brown butter zucchini cake. So obviously when I’m trying to get rid of Nutella, I make a chocolate hazelnut cake! This chocolate cake is a dream. It’s rich and fudge-like and so addicting that I made a recipe for two cakes. While it’s perfectly perfect without the chocolate glaze, I couldn’t help myself. Without the chocolate glaze, how was I supposed to get the chopped hazelnuts and chocolate chunks to stick to the cake? Instead of flour, ground toasted hazelnuts help give this cake texture. Asides from the Nutella, ground hazelnuts pack this cake with a big hazelnut punch. And if that isn’t enough hazelnut for you, I also added a splash of hazelnut liqueur. 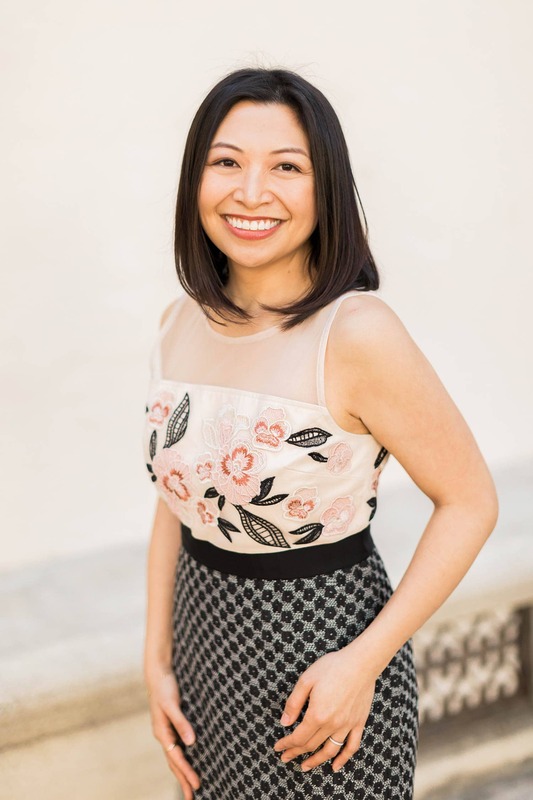 Have you met Frangelico? Frangelico is this irresistible hazelnut flavored liqueur that I fell in love with in my early twenties. Much like Kahlua, I’d find all sorts of ways to incorporate it into drinks and desserts. I totally suggest serving this cake with Frangelico spiked coffee. If you’re looking to party, try one of my favorite cocktail shots- “the chocolate cake.” It’s a mixture of Frangelico and vodka and it tastes amazing! I used two small springform cake pans for this recipe. It makes unmolding this cake much, much easier. The secret to this delicious and decadent cake is Nutella! 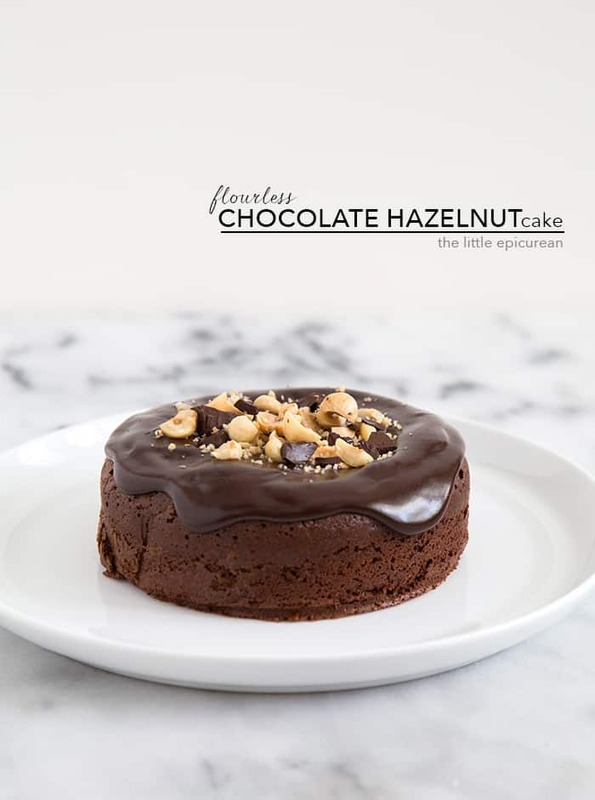 This cake is sure to satisfy any chocolate-hazelnut fan. Preheat oven to 350 degrees F. Lightly butter two 4 1/2- inch springform cake pans and line bottom with parchment paper. Set aside. Place chopped chocolate and butter in a microwave safe bowl. Microwave at half power (50%) for 20 second intervals until melted and mixture is smooth. Stir in between intervals to ensure even melting. Set aside and allow to cool slightly. In a large bowl, combine egg yolks, Nutella, ground hazelnuts, and Frangelico. Mix until smooth. Add melted chocolate mixture and fold to combine. In a medium bowl, add egg whites and salt. Using a hand mixer, beat egg whites to stiff peaks. Add 1/3 of egg whites to large bowl with chocolate mixture. Fold to combine. Add another 1/3 of egg whites and fold to combine. Repeat with remaining 1/3. Fold until there are no longer any egg white streaks. Divide cake batter between the two prepared cake pans. Bake for 30-35 minutes until the cake has puffed up and the tops of the cake have cracks. Insert a toothpick in center of cake to test for doneness. 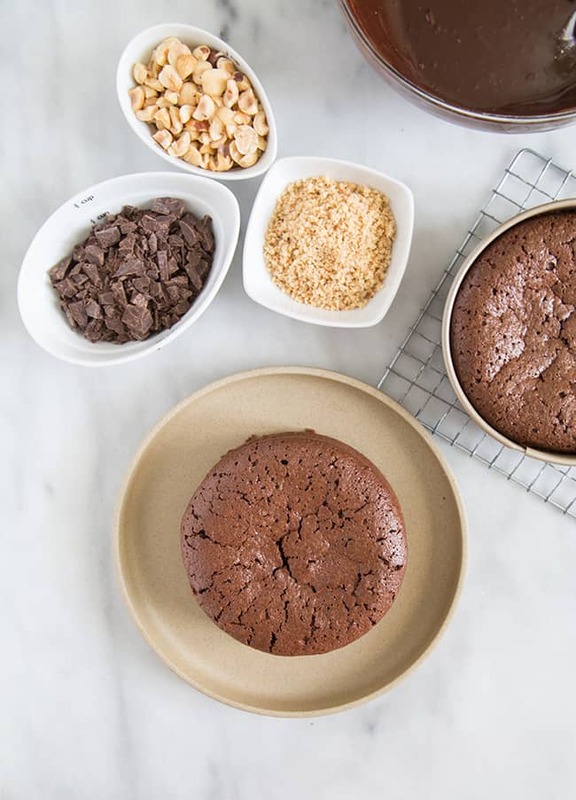 Allow cakes to cool in pan for 5 minutes before unmolding. Allow to cool on wire racks. Place chopped chocolate in a medium bowl. Bring cream to a simmer. Pour hot cream over chocolate. Add butter and cover bowl with plastic wrap and allow to sit for one minute. Remove plastic wrap and stir ganache until homogenous. Add a pinch of salt and optional Frangelico. Stir until incorporated. Let sit for 5 minutes to allow glaze to cool and thicken. Pour glaze over cooled cake. 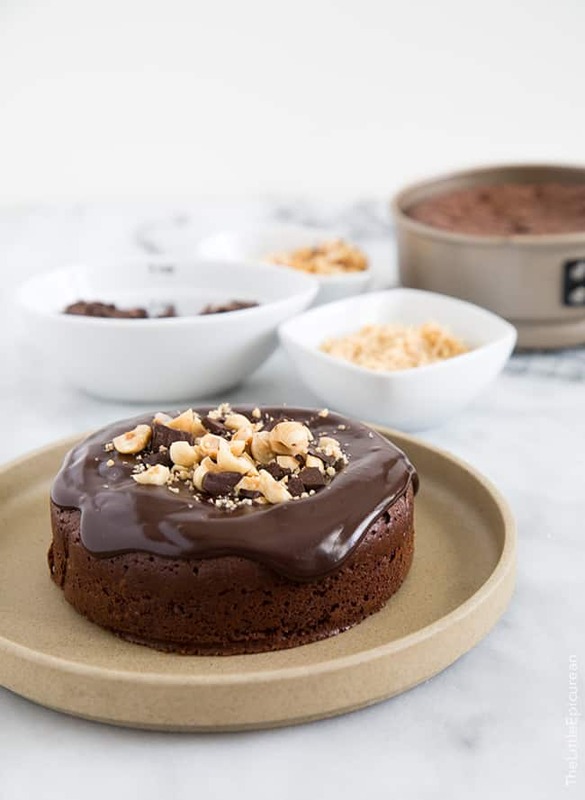 Garnish cake with chopped toasted hazelnuts and chopped chocolate. * To make ground hazelnuts: Preheat oven to 350 degrees F. Toast hazelnuts in oven for 8-12 minutes until the skins begin to separate from the nut. Rub the warm hazelnuts in a clean dish towel to remove the skins. Let hazelnuts cool to room temperature. In a food processor, pulse hazelnuts until ground. Store finished glazed cake in an airtight container at room temperature for up to two days. Aww, hooray for virtual birthdays! That’s so sweet. The cake looks amazing! 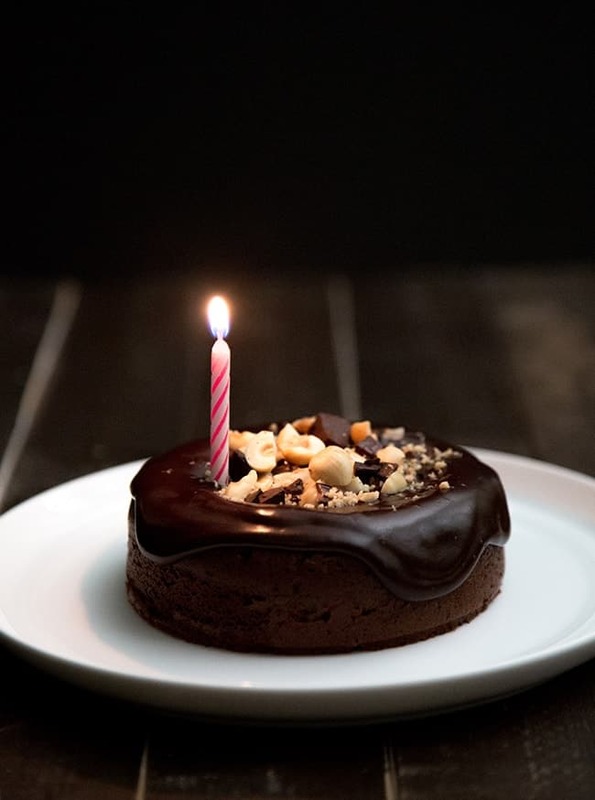 Such a beautiful, and decadent desert, adding the candle is a nice finishing touch! I always love flourless chocolate cake. This looks very moist and beautiful. I love incorporating ground nuts instead of flour because of all the wonderful flavors they add! Thanks, Angie! You are so SWEET, Carmen! Thank you! This cake was absolutely delicious! Would never have believed that it was totally flour-less. Instead of making two smaller cakes would it work to maker one bigger 9 or 10 in cake? I’m sure it would work in a larger springform cake pan, but I’ve never tried. I only tested this recipe using the smaller cakes. Please let me know if it works out! This nutella cake sounds just up my alley. PLUS – I can totally eat it! I totally agree that the glaze just added the perfect touch.